Internationally awarded and professional photographer Laurent Geslin is trying something almost impossible. For almost ten years Laurent is chasing the elusive lynx in Europe. Living in the Swiss Jura mountains, he is right in the domain of one of Europe’s large carnivores. His award-winning book ‘LYNX, regards croisés’ showed his magnificent search for the Eurasian lynx in Switzerland and France. After my book “LYNX, regards croisés” I am working on a project of filming the elusive cat in the wild for a documentary. The lynx used to roam many places in Europe, but soon became extinct due to hunting practices. 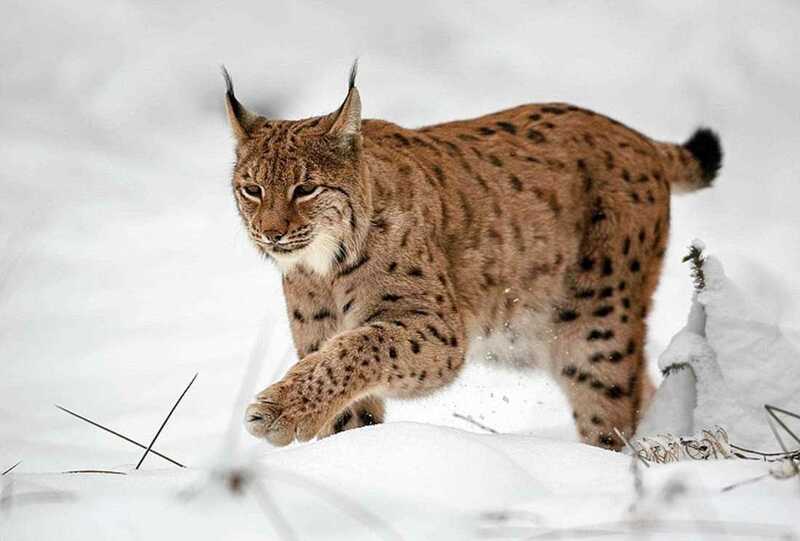 Successful re-introduction programmes established new populations of lynx in countries like Switzerland, Austria and Germany. NGOs monitor the cats with GPS collars, but are still losing animals due to illegal poaching. Recently the lynx Alus was found dead in Germany, yet authorities still need to confirm the cause of death. Alus was part of an international scientific programme, providing humans with insights and understanding of the lynx’ behaviour. Also in France, the lynx populations are decreasing every year. But there is also good news, in other areas the populations seem to be stable. And conservationists are debating the possibilities to re-introduce the lynx to Britain, after being absent for more than 1,000 years. It could be a great way to help Britains nature restore to a new balance, like the wolves do in other countries. Currently there is an overpopulation of deer, putting huge pressure on the vegetation. And the large numbers of pine martens predate on the protected capercaillies. Scientists believe a re-established population in Britain can hold approximately 250 lynxes. They would become wilderness architects, just like the wolves in European mainland. Would you like to have your own lynx? Find out more, here. Read more about Laurent’s work here.